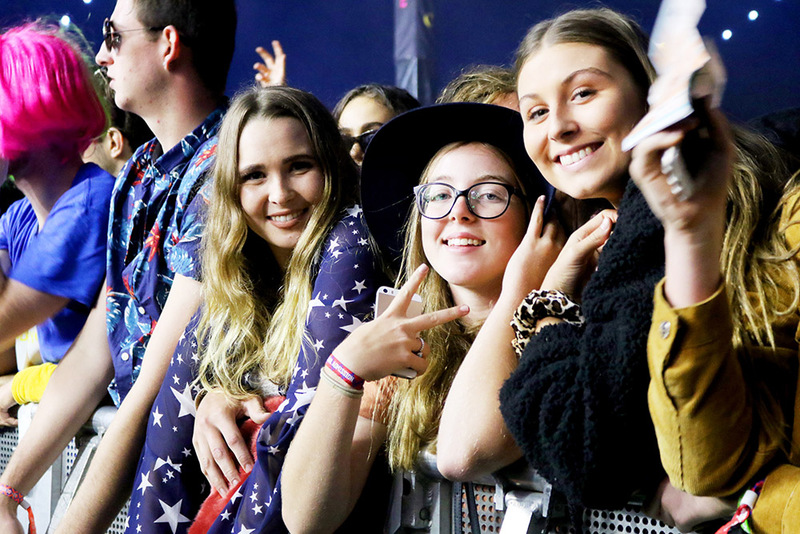 11 May 2018: Not even rain nor mud could stop music lovers from enjoying more than 12 hours of live music at the Groovin the Moo (GTM) music festival held at the University of Canberra on 29 April. Returning to the University for its ninth year, the sold-out festival’s line-up for 2018 featured over 25 artists from home and around the world including Grinspoon, Ocean Alley, Vera Blue, DJ Yella, Amine, Royal Blood, Public Service Broadcasting and more. The day began under warm, sunny skies with punters listening to emerging homegrown artists Aviva, Lime Cordiale, Baker Boy and Canberra alternate rock four-piece, Moaning Lisa, who were the winners of this year’s Triple J Unearthed competition. In the Moolin Rouge tent, Brisbane’s ‘Hannah Montana of the rap game’, Mallrat took to the stage and had the crowd jumping with her bubble-gum rap tunes including ‘Better’, ‘Uninvited’ and cutesy Japanese rap 'Bunny Island'. 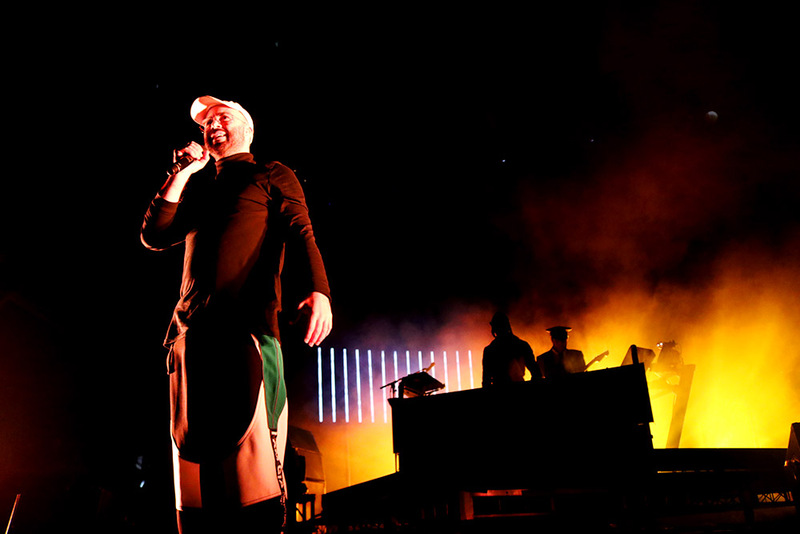 The sold-out festival featured over 25 national and international artists. Photo: Vanessa Lam. Alex Lahey took to the Triple J stage with a guitar fuelled set. Photo: Vanessa Lam. Portugal. 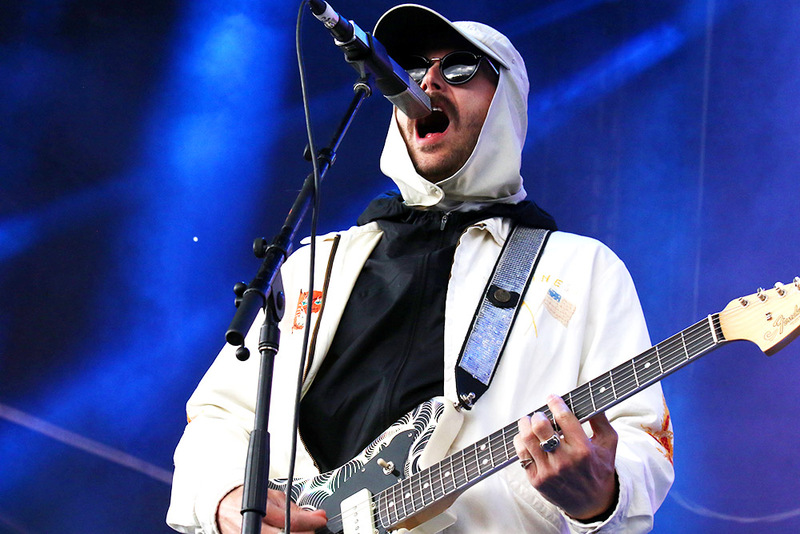 The Man's John Gourley. Photo: Vanessa Lam. Alaska's Portugal. The Man. Photo: Vanessa Lam. 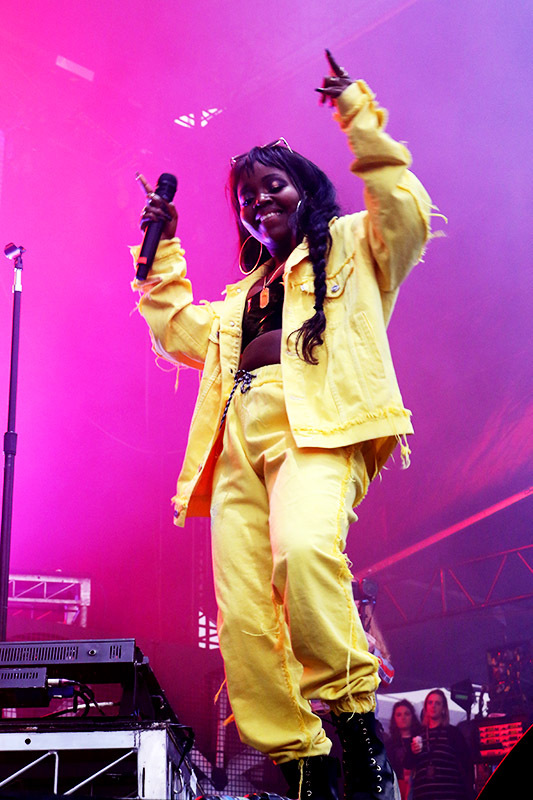 Adelaide rapper Tkay Maidza. Photo: Vanessa Lam. Wet weather didn't stop punters from enjoying the music. Photo: Vanessa Lam. The mysterious German DJ Claptone. Photo: Vanessa Lam. Confidence Man frontwoman Janet Planet. Photo: Vanessa Lam. Confidence Man frontwoman Janet Planet channeling her inner Madonna. Photo: Vanessa Lam. The highlight from the day Australian music royalty Paul Kelly. Photo: Vanessa Lam. Flight Facilities with vocal guest Ric Rufio. Photo: Vanessa Lam. Duo Flight Facilities on the GTM stage. Photo: Vanessa Lam. The fashions of the day included colourful prints, sequins, glitter and of course, the classic cow onesie. The free water and market stalls selling vintage clothes, ponchos, jackets, and accessories helped festival-goers keep warm, in style and hydrated as the day started to cool down. 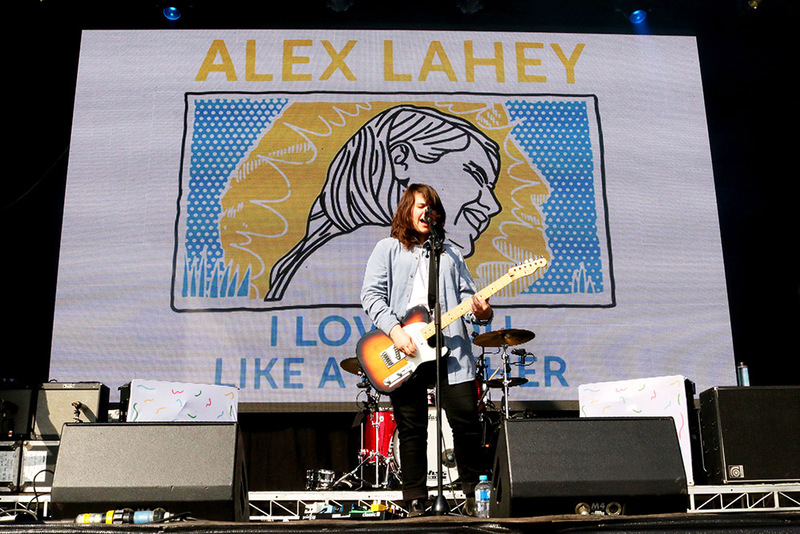 Melbourne’s Alex Lahey took to the Triple J stage and played hit after hit with a guitar fuelled set from her debut album, Love You Like A Brother. Then, in a Canberra exclusive, she announced, “We've never had a special guest on stage before. 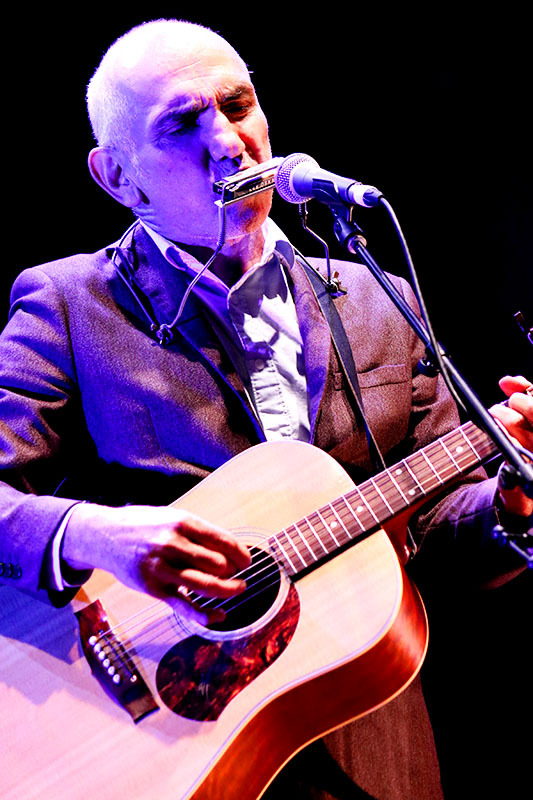 Please welcome to the stage, Paul Kelly!” The crowd went wild seeing the Australian music legend join Lahey on stage. Together they sang her track ‘Lotto In Reverse’ with the audience singing along in excitement. 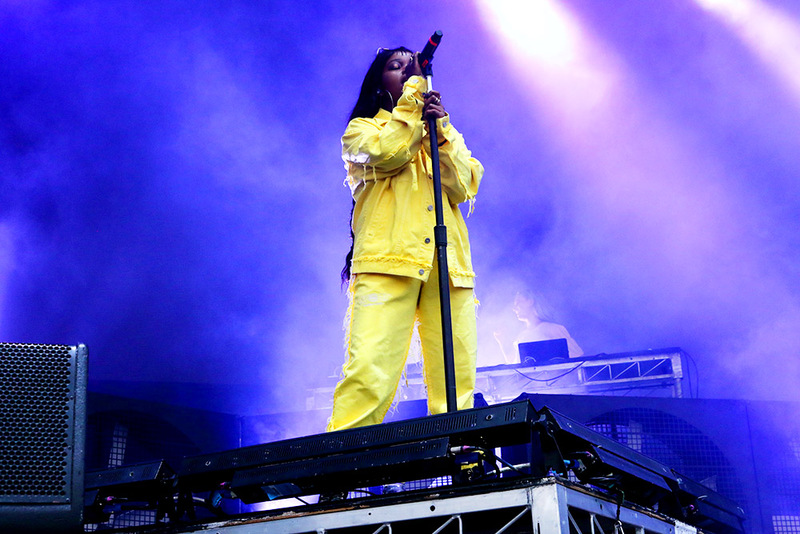 As the afternoon neared, the heavens opened as Adelaide rapper Tkay Maidza took to the stage. Despite the heavy downpour, her energy never faded. While some ran for cover or ponchos, others danced in the deluge as Maidza jumped and twerked on stage. Dressed in a bright yellow matching denim jacket and jean combo she was an infectious ray of sunshine through a stormy set which included ‘Brontosaurus’, ‘Do it Right’ and ‘Carry On’. The all-ages crowd erupted in cheers as the storm clouds began to clear for the electronic, laidback sounds of Winston Surfshirt, followed by the flaming pyrotechnics of metalcore band The Amity Affliction. 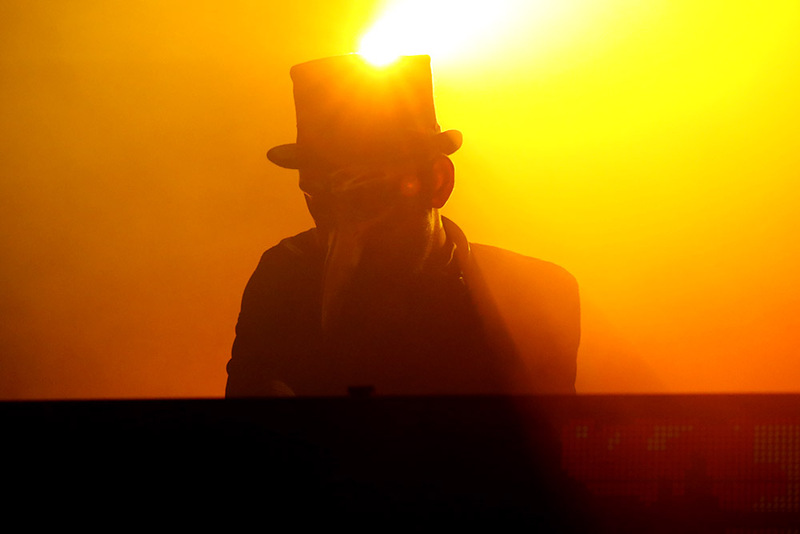 As night fell, the Banksy of the music world, German DJ Claptone appeared, dressed in his enigmatic attire of a top hat, white gloves and golden beaked mask. The mysterious DJ served up electronic dance remixes of artists like Depeche Mode, New Order, Disclosure and Gorillaz in the Moolin Rouge tent that had everyone dancing. The atmosphere in the tent then went to maximum with electronic dance foursome Confidence Man. 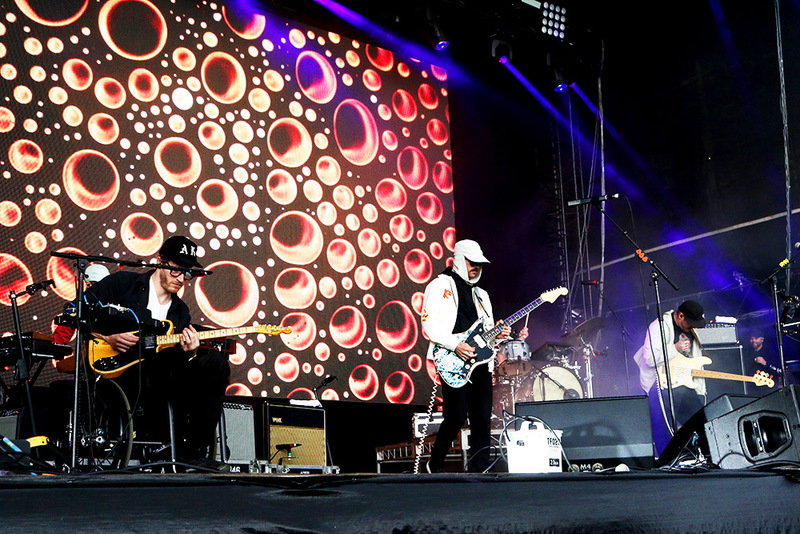 Dubbed “Best up-and-coming live band in Australia” by Triple J after their 2017 performance at Splendour in the Grass. Their fun unique act featured choregraphed dancing and costume changes including frontwoman Janet Planet styling a multi-coloured light up Madonna-style cone bra while co-frontman Sugar Bones wore matching light up shoulder pads. The hyper fast-paced set featured their songs ‘Try Your Luck’ and ‘Don’t You Know I’m In A Band’ and ‘Boyfriend (Repeat)’. The biggest crowd drawer and highlight from the day was Australian music royalty Paul Kelly. Armed with a guitar and harmonica and backed by his band, Kelly looked right at home with a smile as his launched into his of famous hits from his four decades back catalogue including ‘From Little Things Big Things Grow’, ‘To Her Door’, ‘Dumb Things’ and ‘How to Make Gravy’. The cross generational never missed a beat singing along to every word. 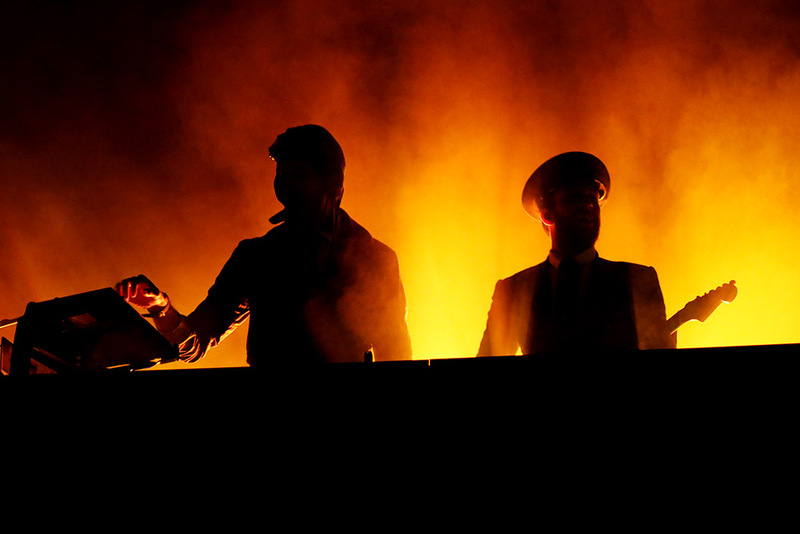 Sydney’s Flight Facilities made their return to the GTM stage, since last appearing at the festival in 2015. Dressed in the signature aviation gear they brought out guest vocalists Grace Pitts and Ric Rufio to sing all their classic tunes such as ‘Sunshine’, ‘Stand Still’, ‘Crave You’ and their latest tracks ‘Need You’ and ‘Stranded’. They then took the crowd on a soulful ride with a cover of Drake’s ‘Passionfruit’. The non-stop set included sample from Gene Wilder’s ‘Pure Imagination’ from Willy Wonka & The Chocolate Factory that lead into their mesmerising closing number ‘Clair De Lune’. The night drew to an end in the big top tent with Brisbane’s Ball Park Music. Self-proclaimed the “loveliest band in Australia”, the feeling of their set was indeed lovely with frontman Sam Cromack opening with an acoustic of their song ‘It’s Nice to be Alive’. The sentiment continued as they played hit after hit with confetti flying, oversized beach balls bouncing around and the crowd signing along ending the night on a high. 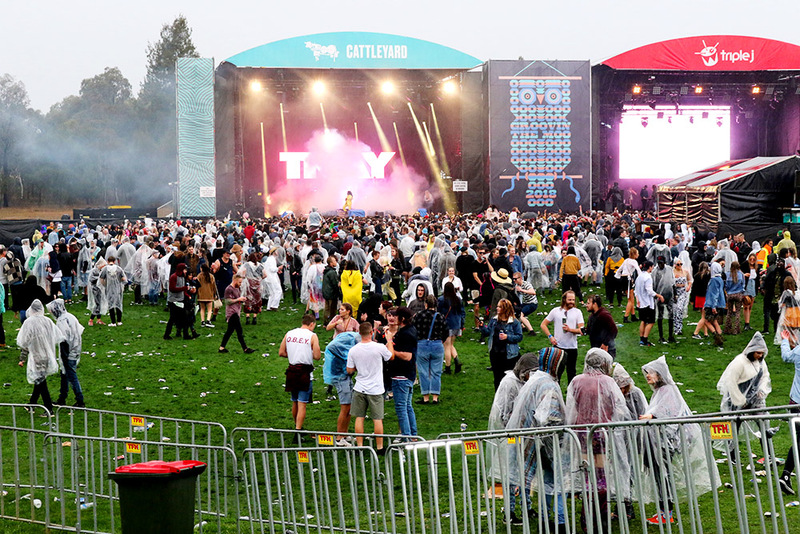 It was clear to the 15,000-strong crowd that despite the rain and chilly conditions that Canberrans have come to expect, this year’s GTM did not disappoint.